Sessions take place on Tuesdays from 6-7pm and are attended most weeks by a Level 3 coach. The ladies who attend are a mixed age and ability group, and everyone has a great time and a good workout! The cost is £5 per week, or £15 per month. New attendees are welcome to attend a free taster session! 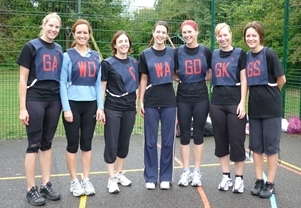 For further information, please contact Natalie on stdenysnetball@hotmail.co.uk.